SVG Fonts still in SVG2? < TabAtkins > It's a good thing we just switched to unlimited minutes, from 600. < TabAtkins > My cell plan. < birtles > \me 'v' is Veer left, or Venestre ? < nikos1 > krit: can this be combined with cubic and quadratic curves? < nikos1 > cyril: what are the consequences on animate motion? < nikos1 > cyril: do you think it should be normalised? < nikos1 > cyril: what about path morphing? Should have no effect right? < nikos1 > ... so do you require a 'b' to match up with a 'b'? < nikos1 > cyril: with 'e', why do you need a start angle? < nikos1 > shepazu: if you're making a pie chart, is the initial angle always going to be 90 degrees? < nikos1 > ... "m 100,100 b -90 h 40 b 90 i 20 0 b 90 h 40 "
< nikos1 > cyril: why do you need the 'b 90' ? < TabAtkins > Hmm, bearings help a little bit with pie charts, but only if you're drawing all the segments in one go. < TabAtkins > You need the Canvas arc command to do pie segments separately in an easy way. < nikos1 > ... I'm wondering is this a pattern we are going to duplicate? < nikos1 > ... are there other places we could use angles? < nikos1 > ... is this a suitable precedent to follow? < nikos1 > TabAtkins: does the star element use angles? < nikos1 > heycam: I was wondering whether zero degrees should be positive x? < TabAtkins > I honestly didn't even realize that was a pattern. < nikos1 > heycam: question of what to do with the SVG dom? < nikos1 > ... new path seg interface derivatives? < nikos1 > birtles: would you even add this feature to the old svg ? < nikos1 > ... should markers be painted at the b? < nikos1 > cyril: a colleague of mine edited some path commands, where should I put it? < nikos1 > heycam: mail it? < nikos1 > cyril: can you have spaces in ids? < nikos1 > ... could you communicate with David Dailey about this? < nikos1 > ... what happens with end caps, etc? < nikos1 > ... if case of commands was different what would be the effect? < nikos1 > heycam: does that mean, if you had a mix of absolute and relative, that segment sizes would be different for the same re-used path? < nikos1 > heycam: could you enumerate the problems? < trackbot > Created ACTION-3546 - Add piece commands to svg 2 specification [on Cyril Concolato - due 2013-11-22]. < TabAtkins > I lied, I can't hear anything but an occasional burst of voice. < TabAtkins > Note that that #issues-index section is auto-generated by Bikeshed. Yet another reason to switch! krit: can we agree on removing those other attributes? RESOLUTION: Remove all xlink attributes apart from xlink:href from Filters. < cyril > isn't it the 10th time we resolve on removing xlink:href ? krit: does Firefox implement this? ... do we want to deprecate it? ed: cleaner just to remove it? RESOLUTION: Remove <filter xlink:href> from Filter Effects. Unless otherwise stated, all image filters operate on premultiplied RGBA samples. Some filters like <feColorMatrix>, <feCustom> and <feComponentTransfer> work more naturally on non-premultiplied data. For the time of the filter operation, all color values must temporarily be transformed to the required color multiplication of the current filter unless stated differently on the particular filter primitive. ... I just want to remove the "unless ..."
... "Why is SourceGraphic drawn into a fixed linear RGB?" ... SourceGraphic takes the parent object, why do you need to draw it into a temporary buffer in linearRGB? ... why can't you change it to something different? ... the objectBoundingBox of what? the element that is filtered? RESOLUTION: FillPaint/StrokePaint objectBoundingBox should be relative to the bbox of the filtered element. ... which coordinate space for userSpaceOnUse? ... if you have a paint server with userSpaceOnUse, which user space to use? RESOLUTION: FillPaint/StrokePaint userSpaceOnUse should use the coordinate space of the the filtered element. ... should the input of the filter prmitive be clipped, the output clipped, both? or not at all? ed: if it doesn't make a big difference, why do we need to define it? heycam: what was the outcome of the previous discussion? ... do we want to change this? or keep it as it is? RESOLUTION: Filter primitives will clip both input and output. ... should we add all remaining blend modes from Compositing? ... do we backport them? ... what was the rationale for deferring this? shepazu: what was the rationale for not putting it into this level? shepazu: what's the timeframe for porter duff? RESOLUTION: We will defer the addition of the Compositing spec's blend modes to feBlend. ... but he expects in2="" to use the same as in=""
heycam: should the whole filter fail if you leave off in2? nikos: or should the input 2 be transparent? ... or just that primitive? krit: sounds like most people think the filter primitive should be invalid in this case? cabanier: how long will the spec be before CR? heycam: you do abc="" or abc="abc"
< TabAtkins > Boolean attributes in HTML just give the attribute the empty string as value. < TabAtkins > Please no boolean words. ... or mode="darken src-over" vs mode="darken src"? ... though today it would be a bit odd, having only "src" and "src-over"
nikos: discuss on the ML? heycam: where one unit = one pixel? RESOLUTION: We will keep kernelUnitLength but add a note explaining why it's not great, and that we may have something different in the future. ... if it would run out of memory etc. heycam: do you want to require a particular kind of scaling here for filters? heycam: how about remove the last two sentences there altogether? < TabAtkins > image-rendering puts only the barest of requirements on what is required. < TabAtkins > At the lowest level, you can do linear-interpolation for "auto" and nearest-neighbor for the other two. < krit > When the image must be resampled, it is recommended that high quality viewers make use of appropriate interpolation techniques, for example bilinear or bicubic. Depending on the speed of the available interpolents, this choice may be affected by the ‘image-rendering‘ property setting. ed: so you're saying image-rendering should not affect the scaling? krit: what do you think about the first sentence? ... issue 20. it's about feImage and images that don't exist or are blocked. what should happen? heycam: what happens if the 404 response is an image? ... should the feImage still work on the 404 image response? ... but what about if the 404 response from the server had type image/png? < TabAtkins > Images defines the concept of an "invalid image" and uses that in a few different ways, depending on th econtext. krit: can you agree that if you don't get an image back from the server that the whole filter chain fails? ... should you still cancel the entire chain? RESOLUTION: If radius on feMorphology is zero or negative, the filter operates like an null filter (output = input). ... "This filter primitive produces an image which contains the specular reflection part of the lighting calculation. Such a map is intended to be combined with a texture using the add term of the arithmetic <feComposite> method." Tav wanted to replace "map" with "image"
cabanier: does it make a difference if it's required? ... is the result intended to be used, or is required to be used? does it make a difference? < trackbot > Created ACTION-3547 - Investigate how lighting filter outputs work when not composited on top of the original thing being lit [on Dirk Schulze - due 2013-11-22]. krit: issue 24. clamping the feTurbulence numOctaves. firefox clamps it to 10. ChrisL: so it's diminishing returns with higher octave values? heycam: is it fine to choose 10, really? < TabAtkins > Assuming there's example code, it would be easy to demonstrate in canvas. < trackbot > Created ACTION-3548 - Find his numoctaves examples to find out what a good number to clamp to is [on Erik Dahlström - due 2013-11-22]. < TabAtkins > Ah, yeah, the spec has C code. RESOLUTION: Additive animation of filter property works by concatenating the lists. ... should we refer to css-color-4, which includes icccolor in <color>? ... doesn't allow HSL, etc. ... for flood-color at the end of the day we have <color> that means "all possible color syntaxes"
TabAtkins: why do we need a difference between those two? ChrisL: because in the definition of the larger one you use the smaller one as the "fallback"
< TabAtkins > Is it for when ICC specifies something outside the srgb gamut? ... reflecting both changes in to the tree? ... or does instantiating losing the link to the original elements? ChrisL: but that's something you need to do manually? heycam: so while with Web Components, the author has to do the mutation observers and propagate changes manually, here we should do it automatically in the spec? krit: who had the action to do this? krit: can you do it? krit: I don't think so? ... and what does 100% mean explicitly? ChrisL: of the containing block? ... if I say <body><svg width="100%"> is my SVG the whole CSS canvas width? ChrisL: if we do have content that is used in HTML, and it has an explicit width="100%", which is common from authoring tools, what does that change? ... what about for height? dbaron: didn't we sort this out? ChrisL: so do we have to join these two things? heycam: if we *do* do the promotion of attributes, SVG2 is the time frame to do it! shepazu: is that still necessary? ChrisL: sure, but some of these like cx/cy/r -- every element now has these properties? shepazu: an alt alt proposal -- why can't we just make CSS animations applying to attributes? ChrisL: what's the implementation status? krit: so we wait for implementations first then specify? ed: first we should use a simple event called "load"
heycam: is it unlikely people are doing addEventListener("SVGLoad')? ... for #3, why originally did we make everything fire load events even when not loading external resources? ... how is that different from parsing? ChrisL: so your proposal #3 says that's not useful and can be removed? ... also use "error" and not "SVGError"
heycam: for firing load events only when external resources are needed, does that include e.g. 'fill' with an external paint server? RESOLUTION: We will only dispatch "load" event to elements that have a non-style related external reference, and never "SVGLoad". heycam: we should check what HTML does for common elements like script, style, etc. cabanier: can you just reference HTML? ... is this something we want in SVG? ... or can we live with normal behaviour? heycam: do we dispatch load to root svg all the time? ... in HTML, does the root <html> (or the <body>?) always get a load event? ... if you use addEventListener? heycam: what's the set of events that does forward to window? ed: even for inline svg in html? ... for inline svg, is content putting onload="" on that svg fragment root? heycam: can we try not firing the event there? < trackbot > Created ACTION-3549 - Do these event cleanups [on Erik Dahlström - due 2013-11-22]. < TabAtkins > Was that intentional? ... you mean with fingers? ... which means "definitely don't re-render this element if only its transform property changes"
... can you explain the mentions of the mouse events? ... if it just renders to a bitmap, when does it get updated? ... to me it sounds similar to buffered-rendering, at least, so why not use that? heycam: a new value for buffered-rendering? heycam: so is it ok if the element is re-rendered in the middle of the zoom and pan, if you stop moving your fingers? ... so if there is a chance to re-render, it is allowed? ... or do you want to require that the re-rendering not happen? heycam: yes. and another value, which means "never rerender this if you only change the transform until I say to"
ed: is it a good thing to allow the content to fill up graphics memory? heycam: what about a best effort? ... would the worst case make it slower than it would otherwise be? heycam: what are the current values of buffered-rendering? RESOLUTION: We will add a new value to buffered-rendering to allow smooth z&p widgets to be created. < trackbot > Created ACTION-3550 - Add a new buffered-rendering value to support smooth z&p widgets, per these minutes. [on Cameron McCormack - due 2013-11-22]. ChrisL: have you seen roc's font workshop page? RESOLUTION: We will remove the SVG Fonts from SVG2, and informatively point to the SVG-in-OpenType spec. < trackbot > Created ACTION-3551 - Remove svg fonts from svg2. [on Cameron McCormack - due 2013-11-22]. < TabAtkins > Ah, cool. ChrisL: where is Libre Graphics? krit: I live in Leipzig! krit: before/after these conferences, doesn't matter? RESOLUTION: We will have 4 meetings in 2014; Seattle in January, two adjacent to Libre Graphics and Graphical Web, and then TPAC. ed: can we resolve on keeping the paint-order property name? krit: didn't the CSSWG object? RESOLUTION: We will settle on paint-order property name as is. 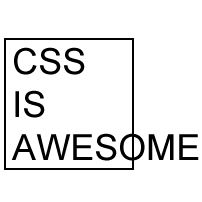 ... so should we back/forwardport this to SVG2, since we're not going to rely on CSS UI defining it? RESOLUTION: We will forward port pointer-events:boundingBox from 1.2T to SVG2. < trackbot > Created ACTION-3552 - Add pointer-events:boundingbox to svg2. [on Erik Dahlström - due 2013-11-22]. < TabAtkins > yup yup! but no lines found matching "<nikos> . . . "
Use "ScribeNick: dbooth" (for example) to specify the scribe's IRC nickname.